15:40 16:20 The Datacharmer’s surprise talk Giuseppe Maxia VMWare ??? 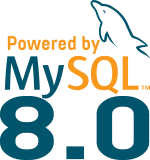 As you can see, MySQL 8.0 and Replication will be targeted during this day, but not only ! We will have 2 surprise talks by two major MySQL Community members ! Don’t miss them ! Places are limited and therefor, registration is mandatory (please register only if you can come). Registration is open until January 26th.